My left knee is feeling less and less broken with each day, but I still really can’t do much. I’m getting better sleep now, not waking up everytime I move a millimeter, and can get up, travel through the house easier. I can walk on crutches much better, put some weight on it. But I can’t do much more than that. In my future I see nothing but REST! Gotta rest it up… The doctor said maybe in six weeks I can do some light spinning, but he said the joint will not be fully recovered until about 4 months from now. It is what it is. Been busy behind the computer, working on ATPs, reading what’s out there. Had ample time to renew my subscriptions to Cycle Sport, Velo News, and Bicycling! I’m starting to coach a bunch of new riders who seem to have immense potential. One rider has been doing time trials and has already placed 4th in a Cat-5 criterium. I get huge joy from helping new riders, getting them on track right from the beginning and seeing what they can do… I expect some big things from this kid!!! 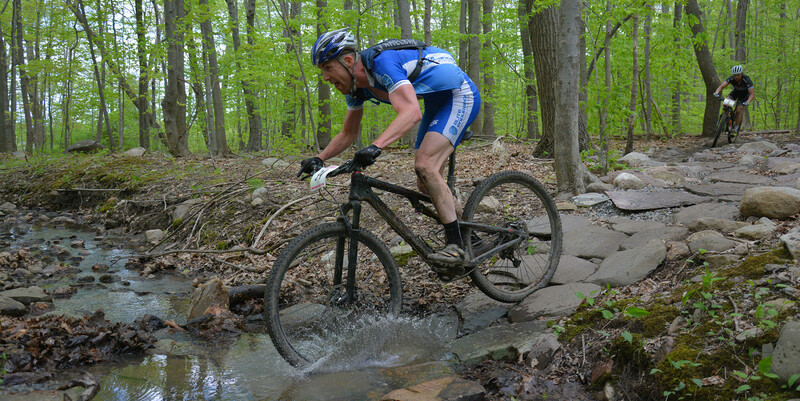 I’m also coaching a new mountain-biker who took 9th out of 23 at Single-Speed Waywayanda event… He’s new to mountain bike racing and I look forward to progressing him through his training plan. He has some big goals, wants to rip the H2H events and also do the Ultra-Endurance 100-mile events, so it should be interesting. I finally got him on a brand-new road bike, so it’s game on! I’m also coaching an athlete from Youngstown, Ohio. One of Kelly Pavlik’s friends is doing a triathlon in August, so we have him on a training program. The training thus far has gone very well… I’ve started him slower than usual, as he doesn’t have huge experience with endurance sports (although very athletic). The slow start seems to have helped, as now he’s banging out the workouts with ease, reporting faster times, higher energy levels, etc… The prep so far has been ideal, and he’ll be competing in a tri in June and July before the big Cleveland Triathlon in August. The timing of these events are pitch perfect and I hope to help Mike enjoy some terrific form!!! This month, a few non-racing athletes also contacted me, not to race but just to get in shape. I’m coaching a woman who is a new mother, wants to get active again, etc… She’s on a new diet and training program chock full of aerobic walking and jogging, and so far the training is having an effect. She’ll be banging out tempo intervals in no time! I’m also coaching a doctor who wants to prep for some charity centuries during the summer, and he’s just gobbling up the specific workouts. It’s like a new world to him and already, within a month, he says he feels like a new rider. As a coach, this is music to my ears. As I say, I enjoy this job much, much more than I thought I would. That’s pretty much it for now. Thanks for reading and I hope to see y’all on the road sooner than later.